Although still a work in progress, HTML5 is the next major revision of the HTML standard. HTML, which is the markup language that allows us to structure and present our web content, is the primary factor in search engine optimization efforts. HTML gives search engines the needed context they need to understand what’s contained in a web page. How might HTML5 change the way we approach SEO? What are the possible impacts of HTML5 in search engine algorithms? In this article, I will attempt to answer these questions. One key component of HTML5 is that it adds new elements that help us better express what’s on a web page. This helps improve web page segmentation so that different parts — such as the header, footer, main content area, etc. — can be easily be distinguished from one another. Once HTML5 becomes more widely adopted, search engines can use these new elements to help them find page elements of interest to them. 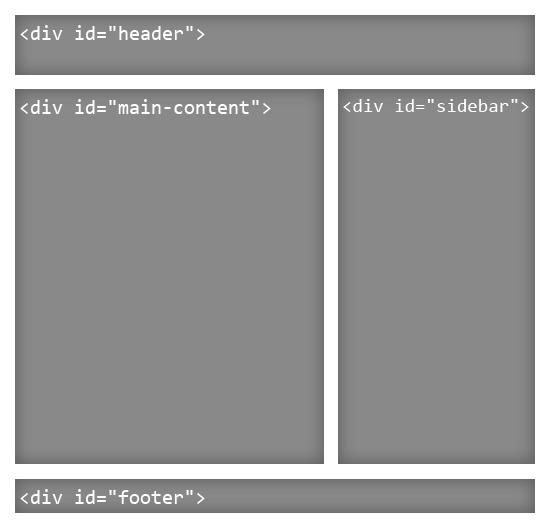 Currently, we use <div> elements to organize and segment a web page. The issue with using <div> elements is that the element is meaningless. It doesn’t add semantic value or give context to what’s inside it. With new elements such as <header>, <article>, <aside> and <footer>, the segmentation of the web page becomes more meaningful. The benefit of this is that it will allow search engines to easily crawl the website, possibly skipping sections such as <footer> or <header> or using them for different indexing purposes (such as identifying copyright information or finding the site’s name or logo). Search engine indexing will thus be more efficient, meaningful and possibly more advanced. Below are some new HTML5 elements that can have a direct impact on SEO. You probably already know the importance content plays in your website’s search engine ranking. 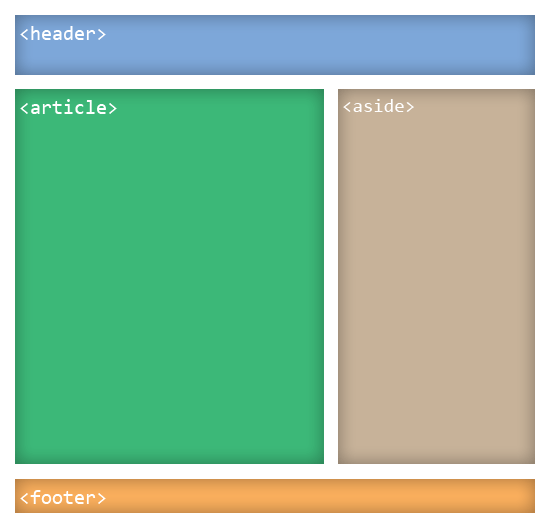 The new <article> element is probably one of the most important additions to HTML5 when it comes to SEO. It allows you to indicate the main content of a web page. One potential change to search engine indexing is that search engines may put more weight on the content inside the <article> element. The <section> element is meant to indicate various sections on a page. The advantage is that each section can have its separate HTML heading. This can give search engines a better understanding of how the web page is segmented and structured. Search engines might be able to tease out the information hierarchy of the HTML document based on <section> tags. The <header> element can give search engines a clue as to where the site name and logo is on a web page or where the primary navigation is (as this is often the place where navigation menus reside). Since <footer> contains auxiliary information, will its content be heavily discounted in search engine algorithms? Possibly. This new element can give search engine indexing algorithms clues to the information architecture of your website, (just like how sitemaps help them gain a better understanding of the website’s structure). One of the ways search engine rankings are determined is through hyperlinks in a web page. Search engines study links in a web page to see what web pages it points to as well as to see what web pages point to it. Link types in HTML5 allow us to give our links better meaning. This gives search engines greater context for each link they encounter. You are probably familiar with rel="nofollow", which was a non-standard rel value in HTML4 that many search engines use to identify links that the current web page doesn’t endorse. The new link types, which also use the rel attribute, works the same way. New attribute values like rel="author" and rel="license" essentially allow us to describe our links better. The rel="prev" and rel="next" attributes, which is a link that points to another web page that is related to the current web page, can be used in circumstances where a blog post is broken up into several web pages. Below is a table containing interesting link types for <a> elements that can influence search engine indexing in the future. See a full list of link types here. The addition of native multimedia elements such as <audio> and <video> can mean increased interoperability with search engines. Google, for example, presents YouTube videos in search engine results. Google already indexes images in Google Images. We could see video and audio being treated like images indexed in Google Images.